For those who can't get the 3G iPhone because they're in a bad credit state, you better get your act together and start your Debt Management Plan because you might also miss out on buying Sony's new Z series line-up. Sony's Z Series of laptop features some high end features which you wont' commonly see on other 13 inch laptops (yep, I'm talking about you, Macbook). Once again, Sony has proven that it's not about being cheap (yes, you, EEE PC), it's all about the features. With the Sony Z Series, you're actually getting a portable Blu-ray player (a very expensive one at that). Some models of the Z series features a 1600 x 900 widescreen display, just good enough to watch Blu-ray movies. And if you can't appreciate going high def on a measly 13 inch screen, you can always use the Z series' HDMI output to blow things up on your HDTV since it is capable of displaying full 1080 HD resolution. 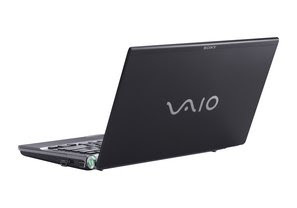 Plus if you still have money to spare, you can also choose to go SSD since the VAIO Z series is available in a 128GB solid state drive model (if you're in debt now, you might expect filing for bankruptcy once you opt for the SSD model.